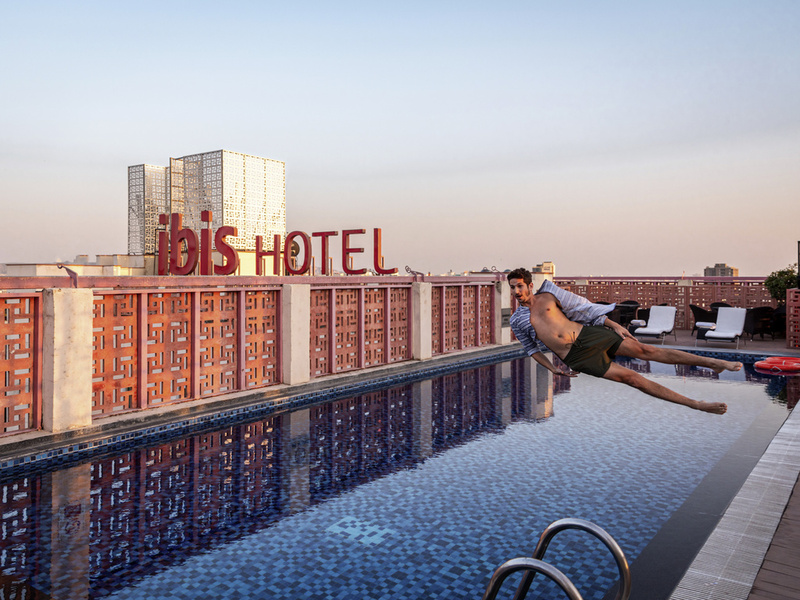 ibis Jaipur Civil Lines is the perfect family destination, strategically located in the centre of the city, near Civil Lines Metro Station (500 m), Jaipur Railway Station (2.8 km) & Airport (12 km). Take a swim in our rooftop pool & relax at Spice it, our multi-cuisine restaurant & bar for a refreshing start to your break. Amenities include bicycle rides, indoor games, outdoor cricket net, foosball, foot massager, poolside games, PlayStation, badminton court, dedicated kids play areas, and a gym. India's desert capital of Jaipur also referred to as the Pink City because of the pink walls and buildings of old city, lures visitors with its stunning remnants of a bygone era. Do visit the ancient palaces and forts for the elaborate architecture. Pay a little more and enjoy room with extra benefits at INR 499. Your sleep is our priority in our 140 modern, soundproof rooms with big fluffy pillows, super-soft duvet and high-tech mattresses that align with the density points of your body. The new Sweet Bed by ibis is difficult to leave! Enjoy delectable buffets and an a la carte menu at Spice It, our multi-cuisine restaurant from 4:00 am to 11:00 pm, as well as an a la carte menu round-the-clock. Try mouthwatering local delicacies that will leave you craving for more. To unwind with cocktail and snack or surf the net with complimentary WI-FI, step into The Hub, our bar, which is ideal for informal meetings, evening drinks and friendly get togethers.